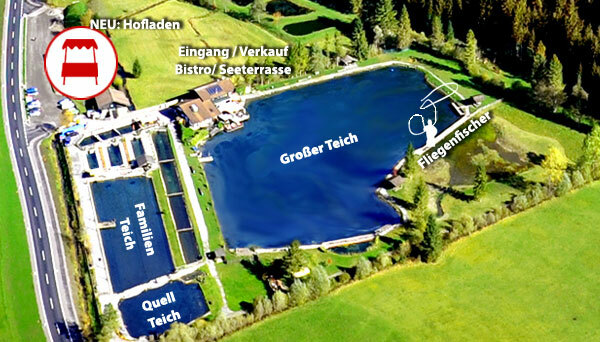 The Quellfisch Resort - Schwendt consists of 3 fishing ponds: the large fishing pond with a size of approx. 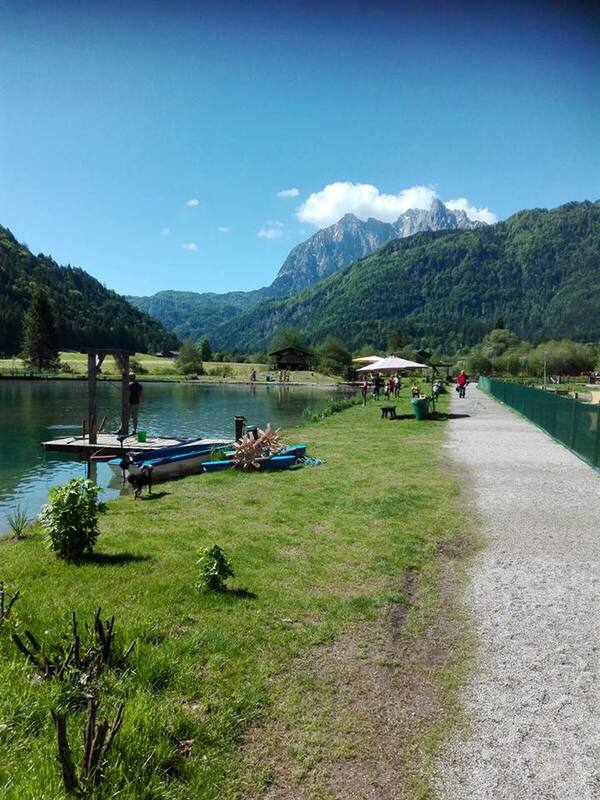 10.000 m2, the family pond with approx. 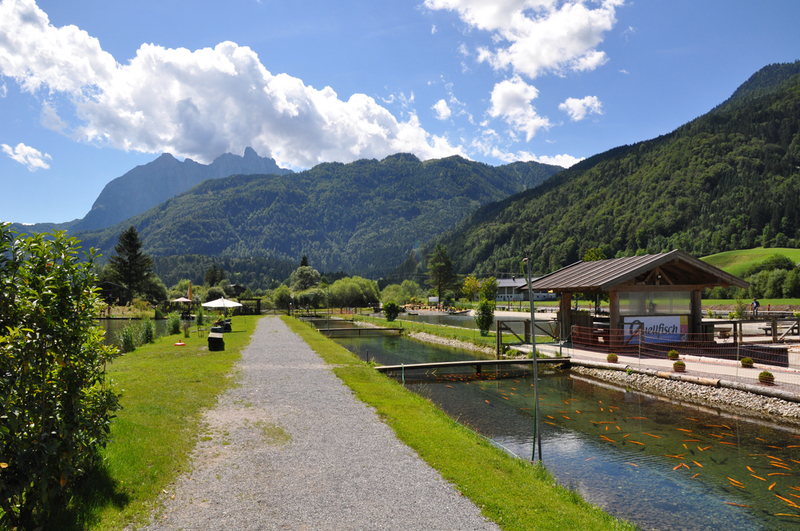 1.700 m2 and the spring pond with approx. 650 m2. 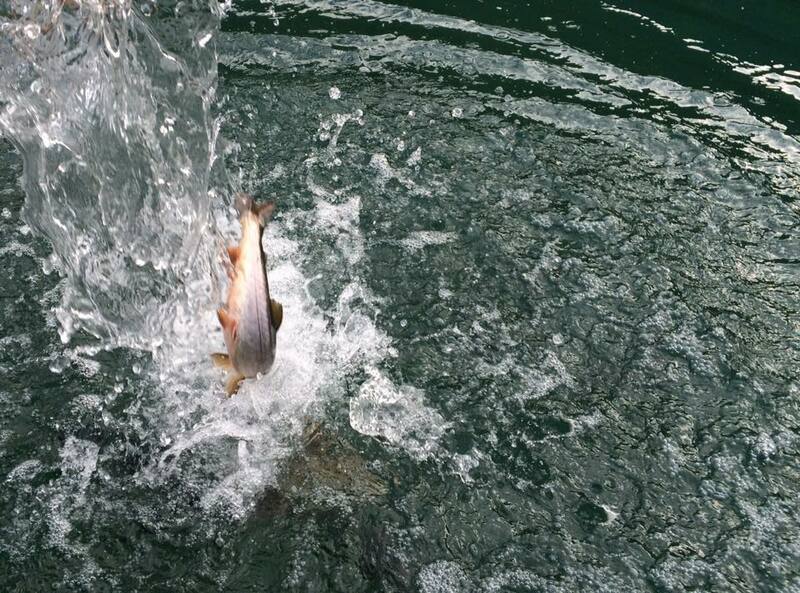 You can fish chars, rainbow-, salmon-, brook-, sea- and gold trout from 250 gr. to 1.500 gr and with luck also bigger. 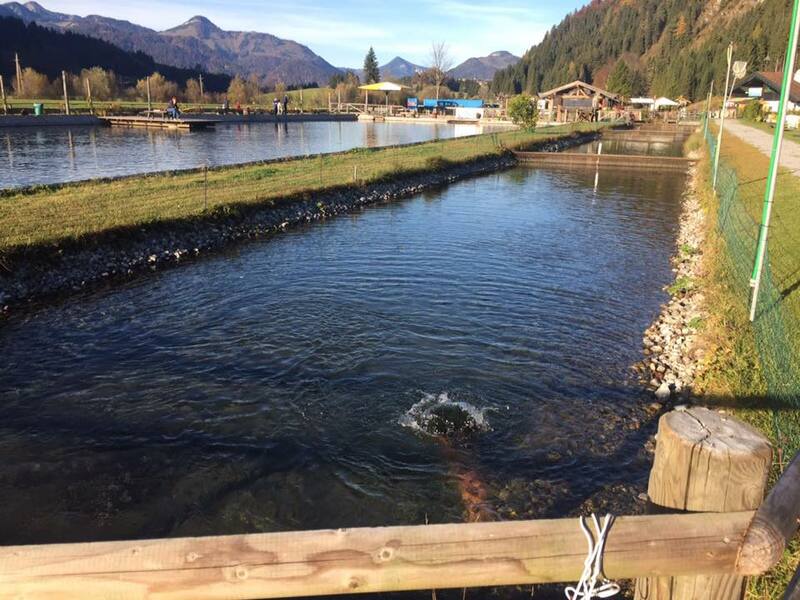 The warm temperature is back and so the Resort is already OPEN since Saturday 6th April 2019 for you. 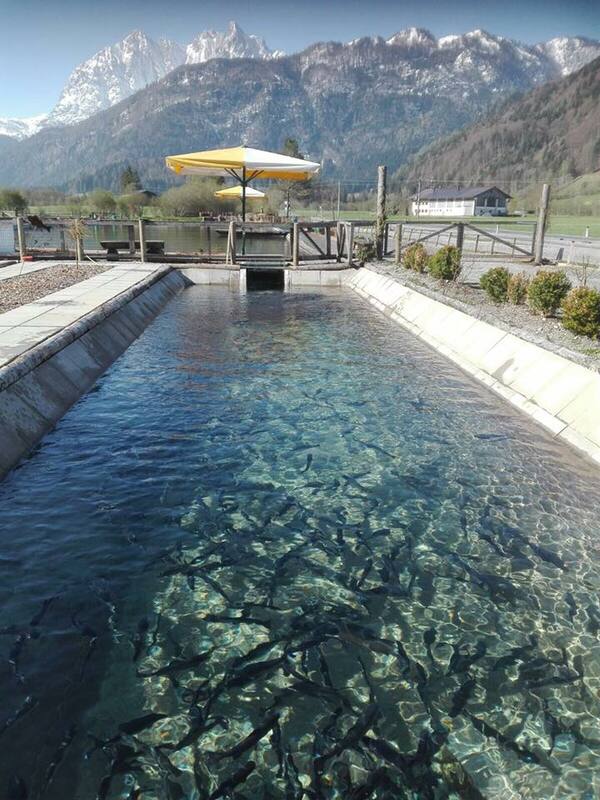 a large pond for the professionals, the family and beginners pond and the spring pond with fish rarities such as the char, lake, brook or gold trout. 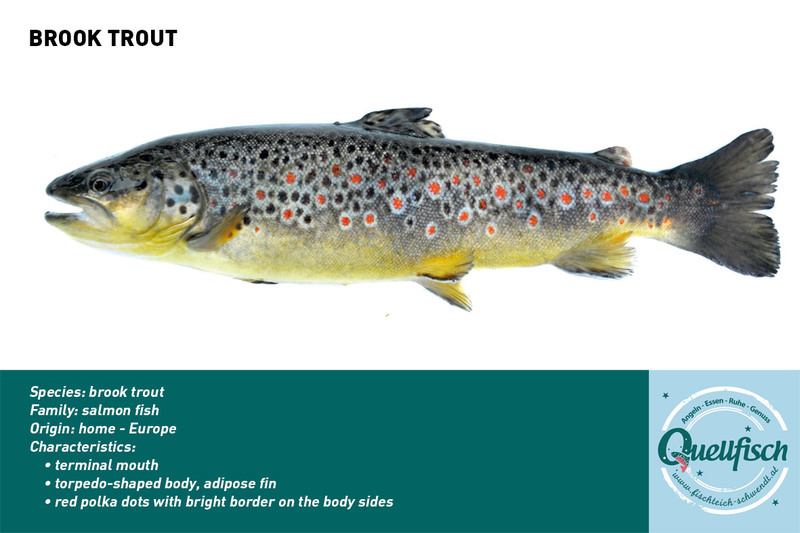 For the fly-fishers among you, we have a reserved wayside of about 80 m length on which you can see the fish very well by the optimal light incidence and thus can tackle specifically. 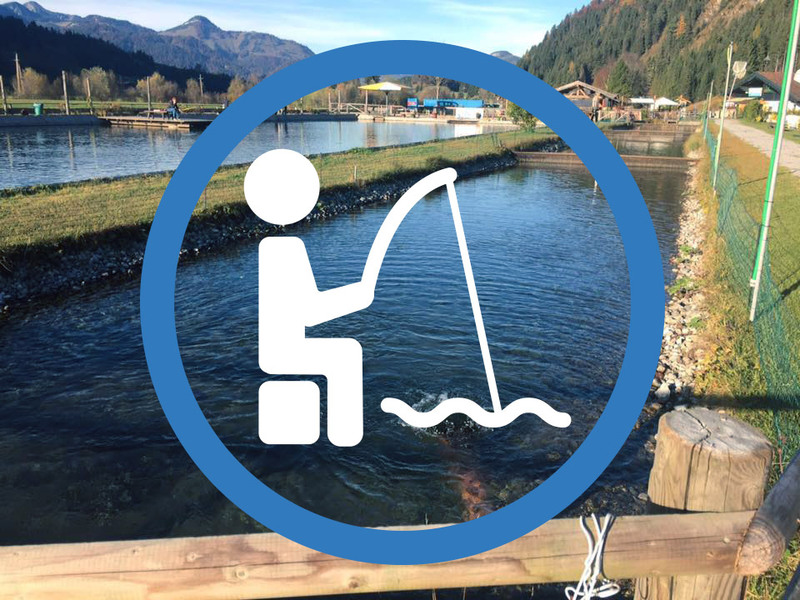 You can borrow everything from the fishing rod to hooks, buckets, landing net, etc. 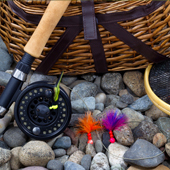 Fishing equipment and baits can also be purchased. For guests of the region we freeze the catch until the departure! 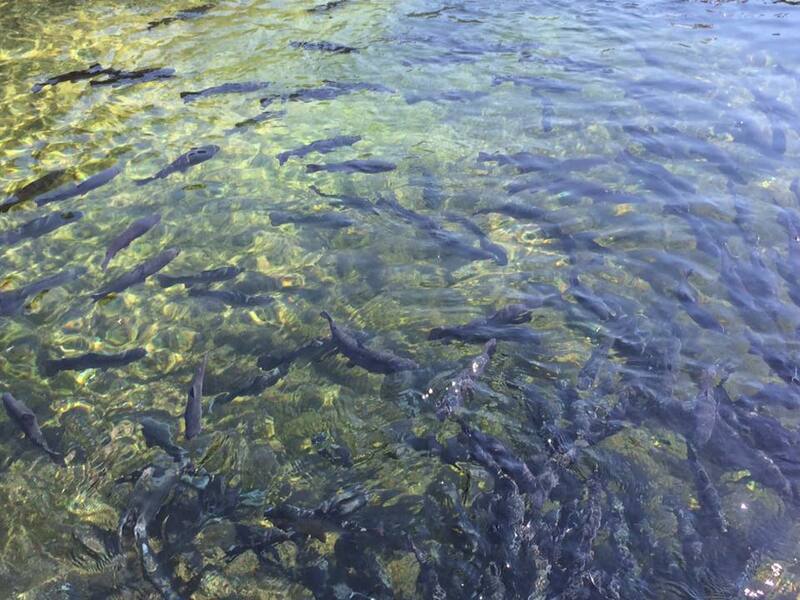 The large pond with almost one hectare area with 12 million liter spring water, is occupied with about 2500 fish between 400 g and 1.5 kg. 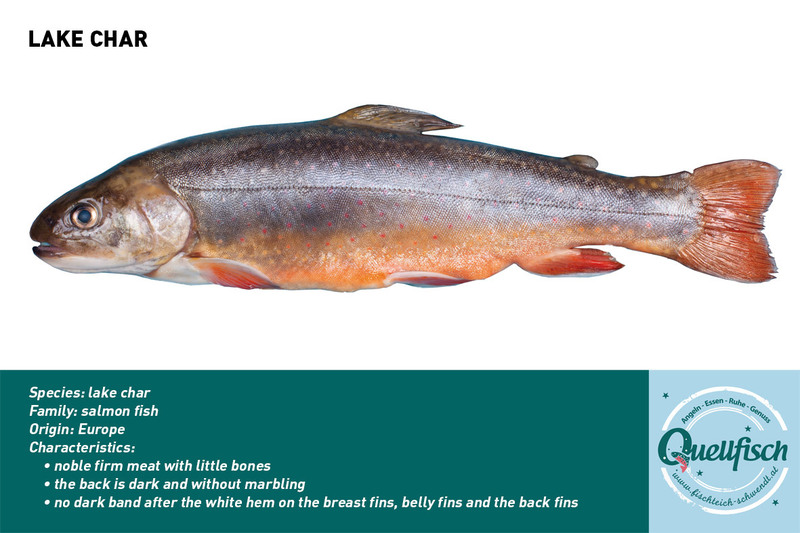 At certain times, we apply larger fish up to 2.5 kg. 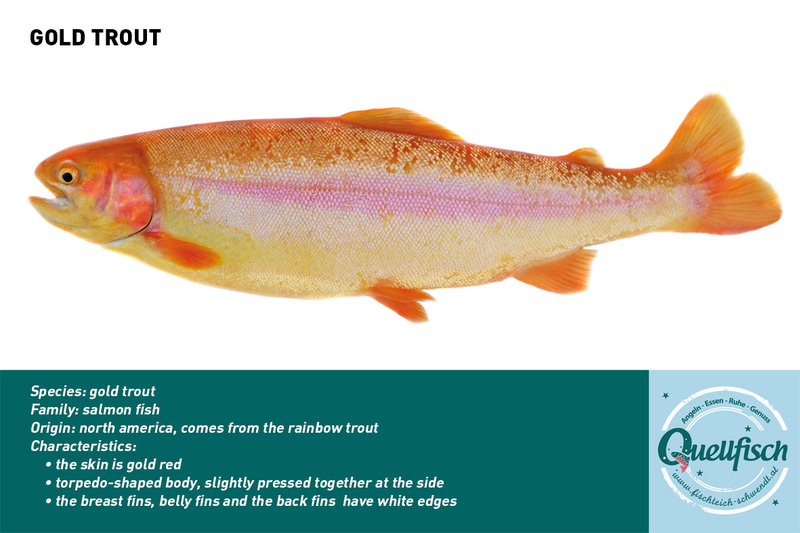 char, gold trout, sea trout and brook trout from 350 g to 1,5 kg. 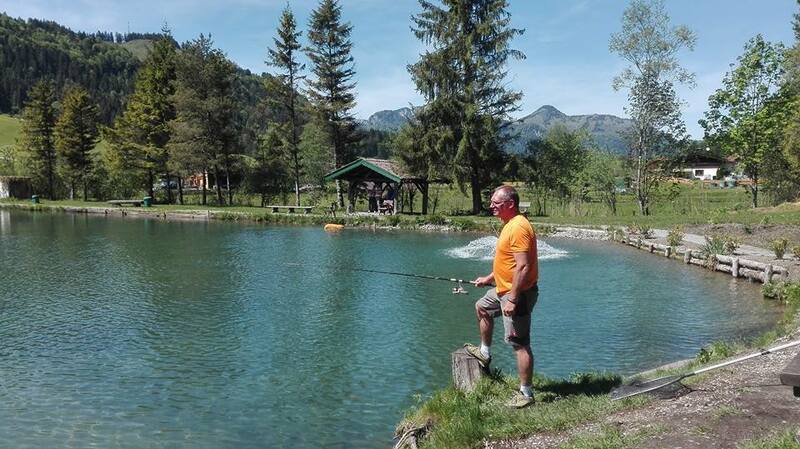 The family pond has 1700 m2, there you can find rainbow trout to 250g and gold trout of the same size, so that Dad can show the children how to fish the right way. 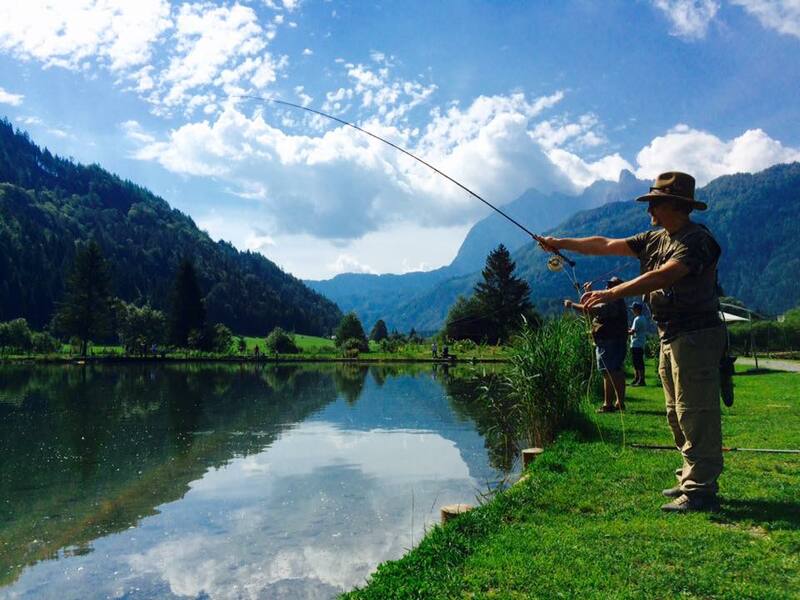 For children and parents, there will be a virtual training from 2018 on, where the basic rules and important things about fish will be teached before fishing. 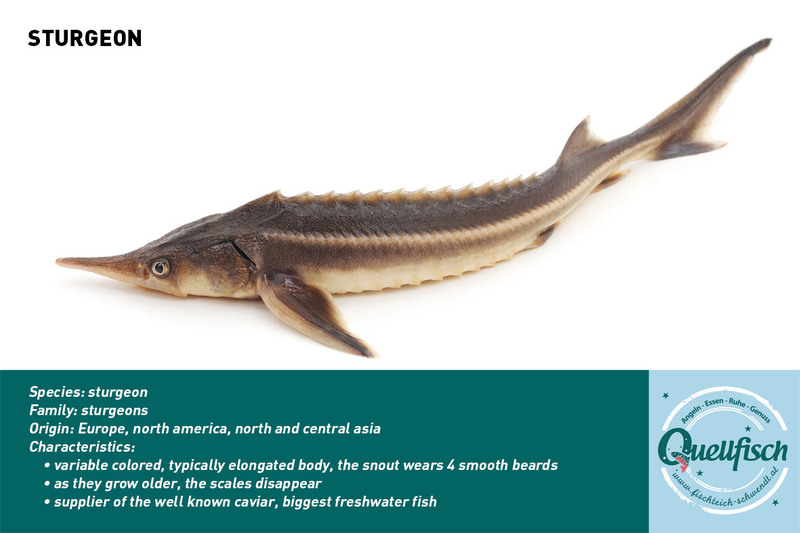 You can receive all fish smoked or marinated on pre-order. 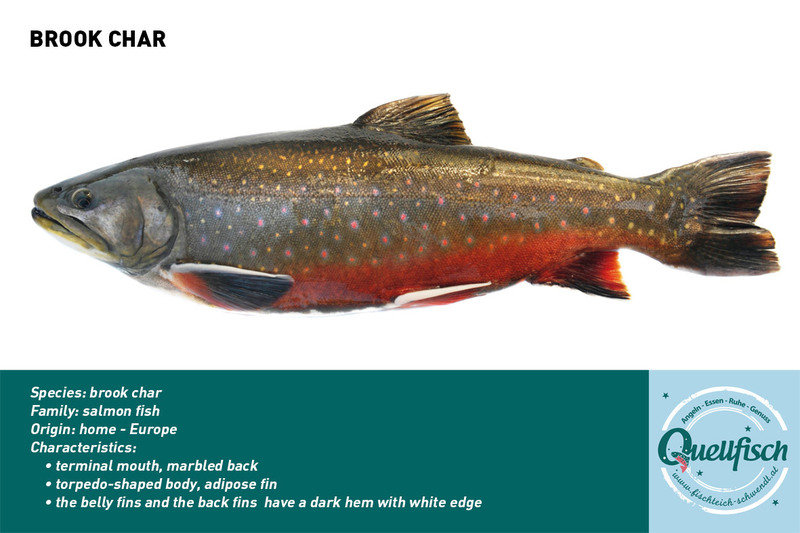 On stock are always smoked rainbow trout and char as a whole fish or filleted. 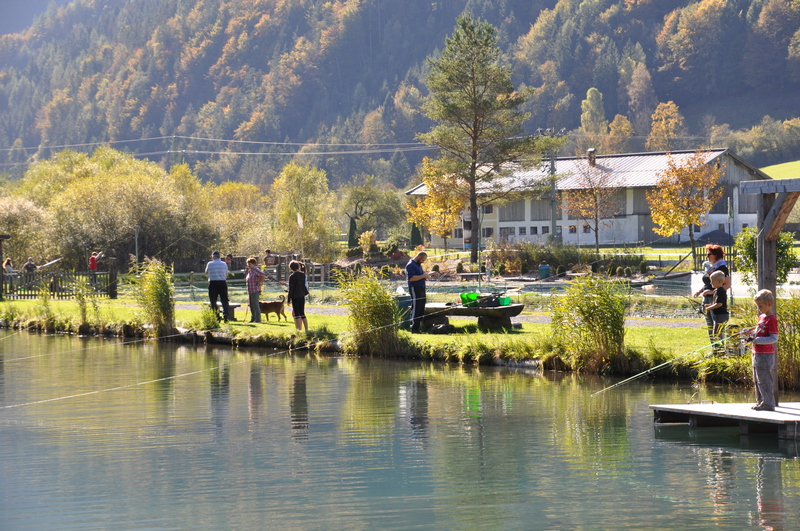 Entrance card for 4 hours fishing-pleasure 6,00 €. 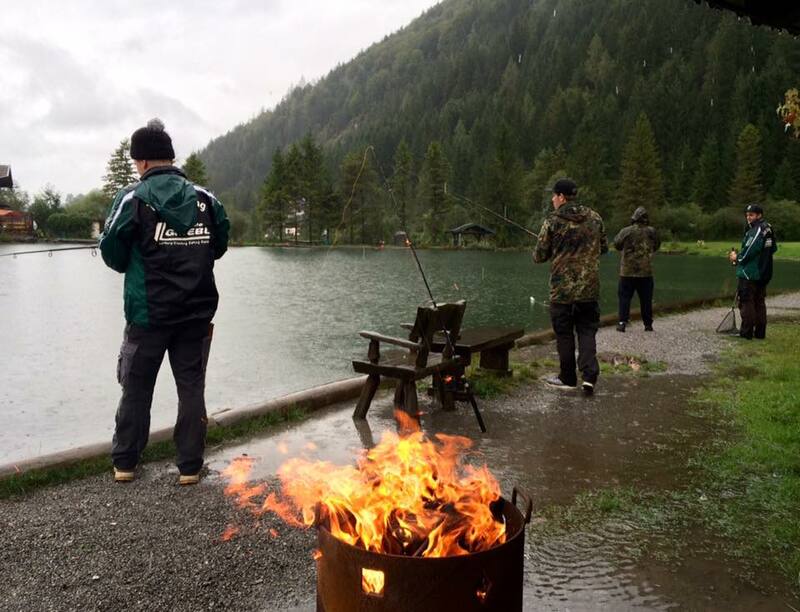 At the end of fishing all of your catch will be weight exactly per kilograms and fish species. 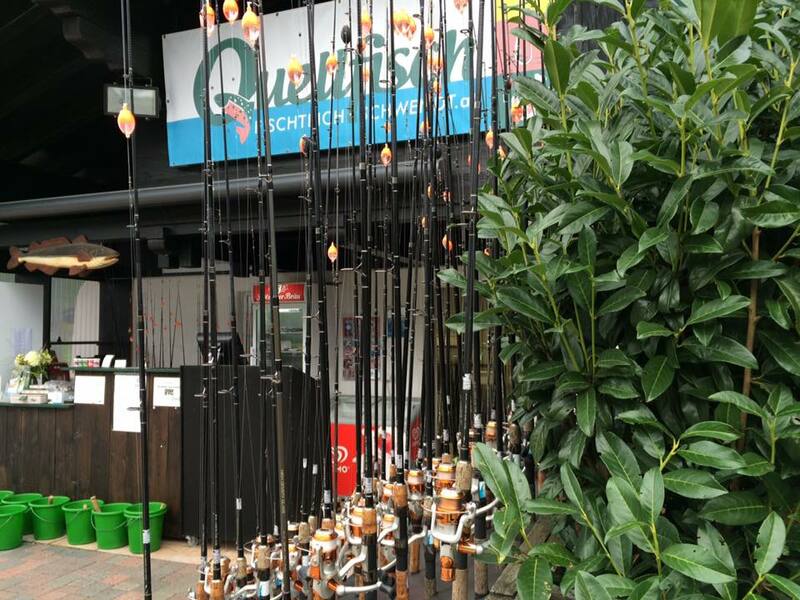 All fishing equipment can be rented such as rod, net, plier, etc. as well as bait. loss € 20.- must be paid). With handing out the ticket, the visitor agrees to the rules of the resort without exception and follows the instruction of the staff. Don`t put back caught fish into the lake. At the fly fishing area no companion is allowed. 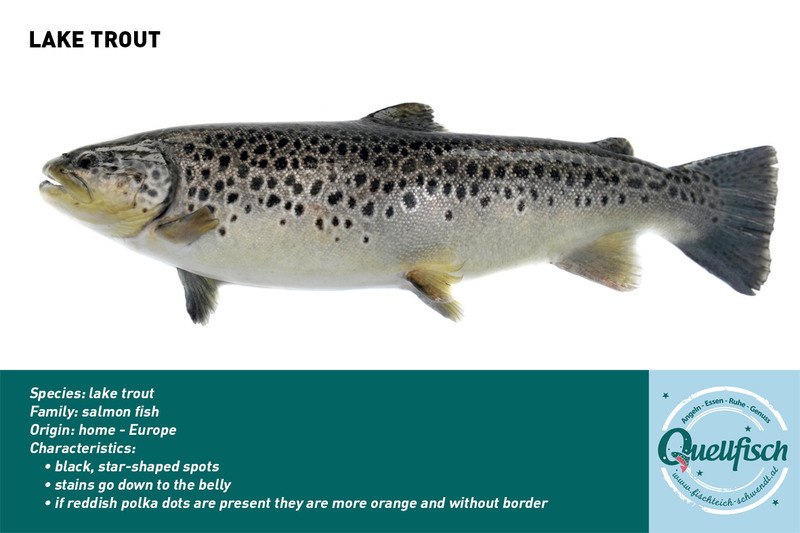 Please do not use live or dead bait fish – crayfish, shrimps, twins or triplets bait, very large water balls, rubber fish, turn signals, wobblers, spinners, pirkers or harpoons. for spin fishing: maggots, corn, mealworms and trout dough. 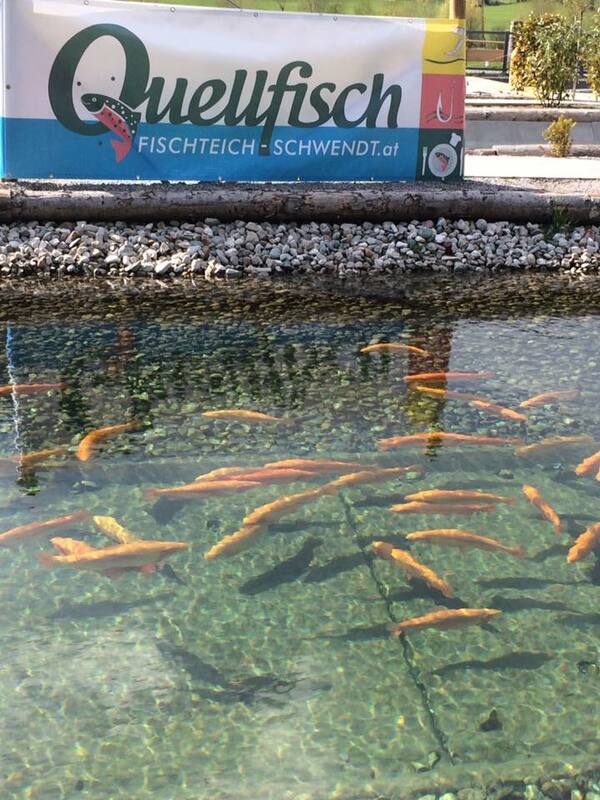 No cutting or cleaning of fish directly at the lake. Keepnets are not allowed. 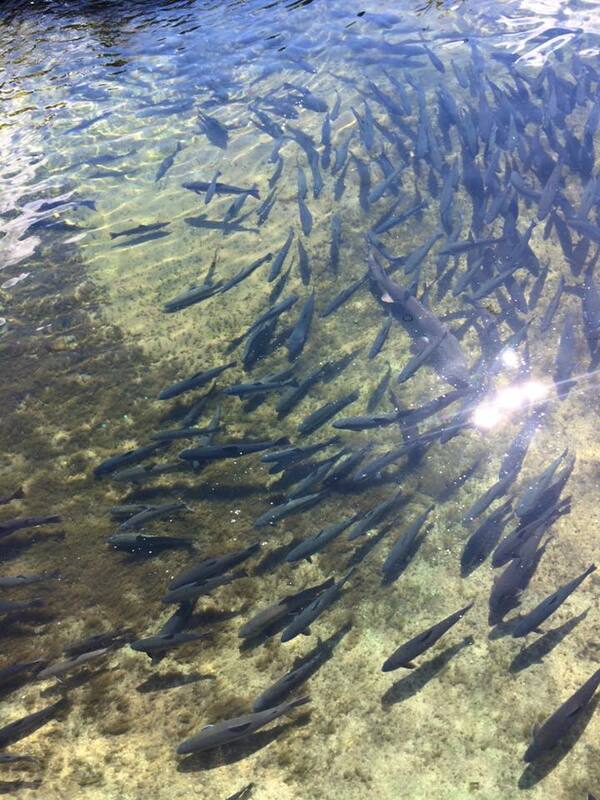 Please kill the fish right away after it was caught and do not let it suffer. Gill or throat cuts are not allowed. Parents are responsible for their children throughout the area. 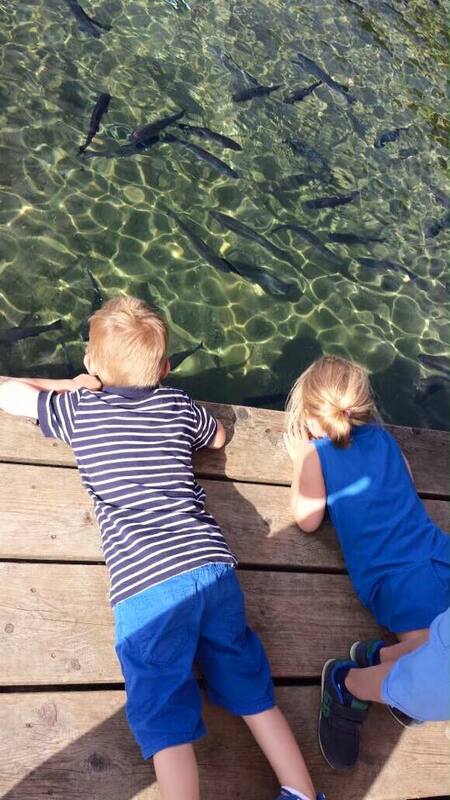 For kids entering the fishing pond is only allowed with their parents or a companion. The resort is not liable for accidents. 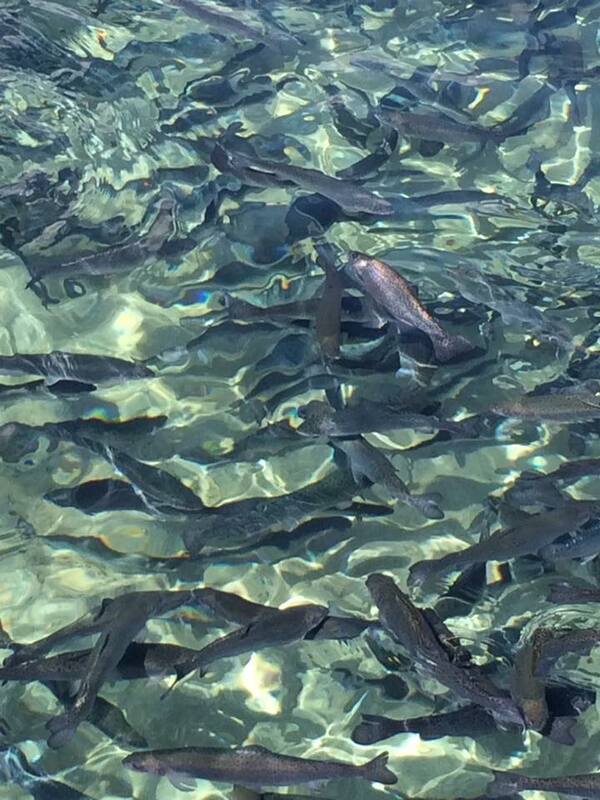 Caught fish can be cooled for free until you leave the resort. 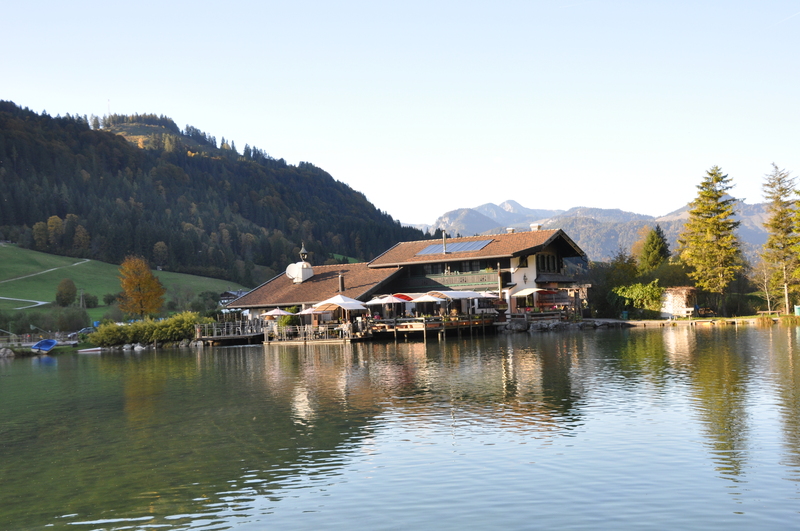 Kaiserwinkl guest card holders can pack and freeze caught fish at the resort until end of holiday. 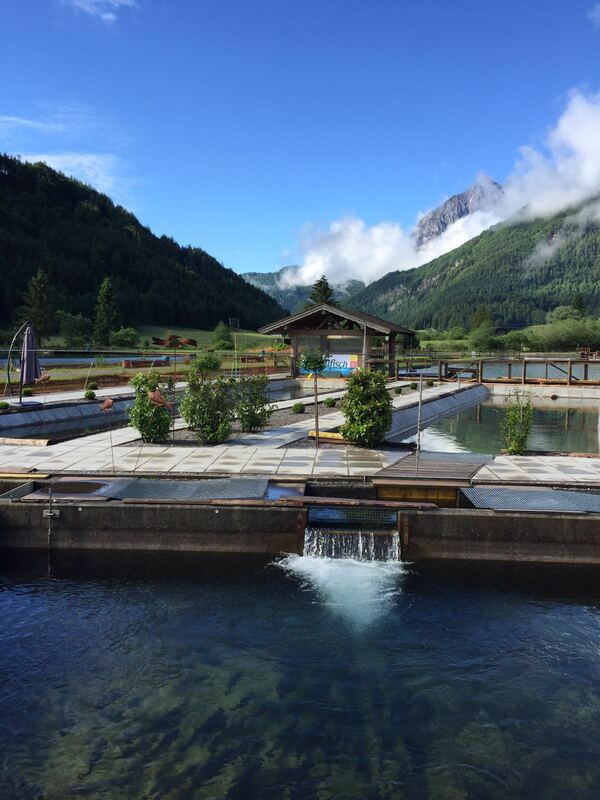 We wish all visitors a good catch and a nice time at the Quellfisch NatuResorTirol. 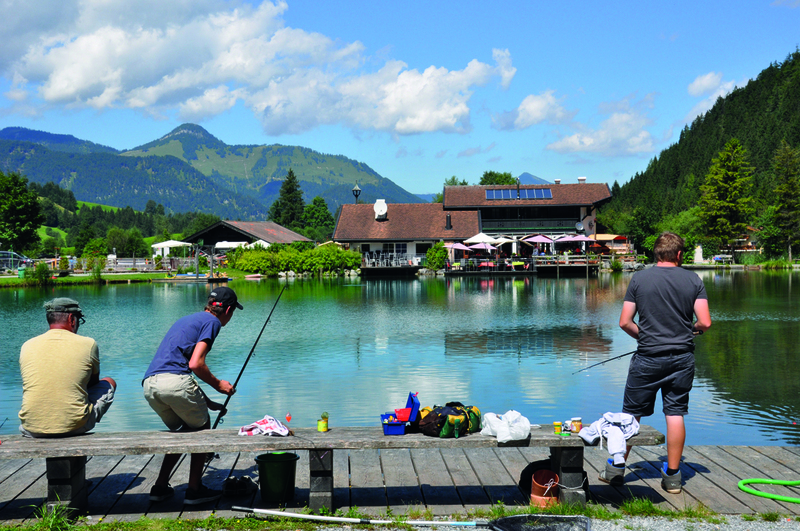 The Quellfisch Resort – Schwendt consists of 3 fishing ponds: the large fishing pond with a size of approx. 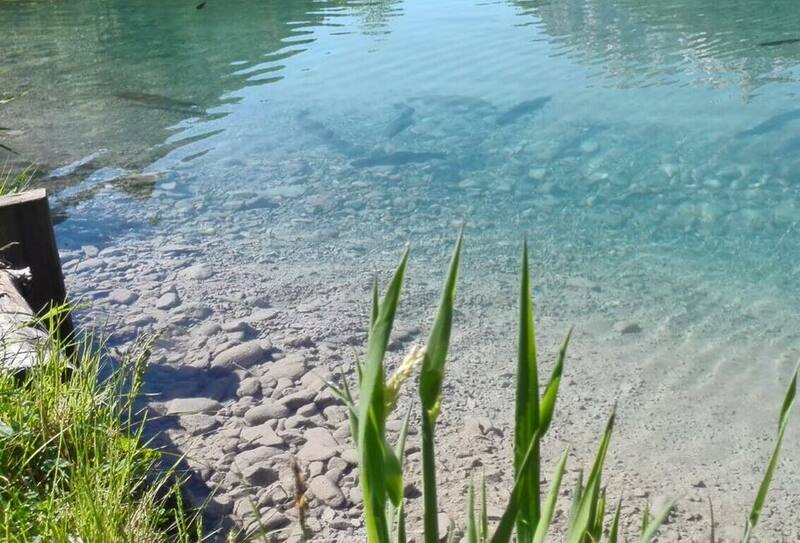 10.000 m2, the family pond with approx. 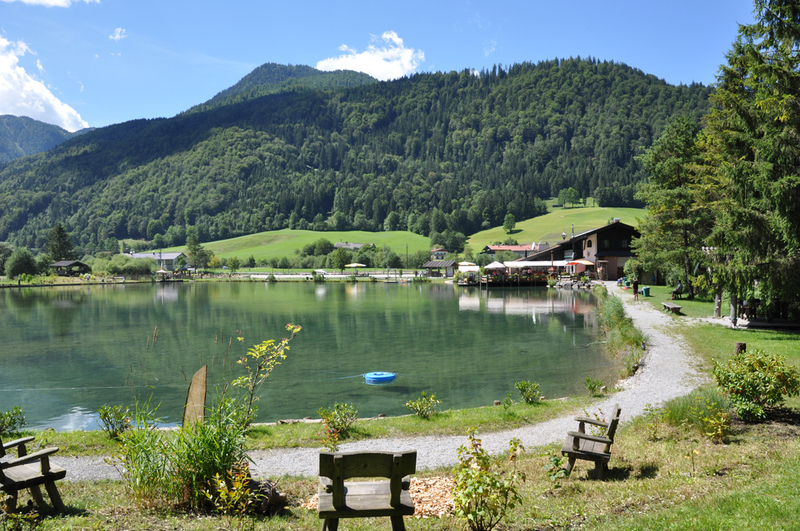 1.700 m2 and the spring pond with approx. 650 m2. 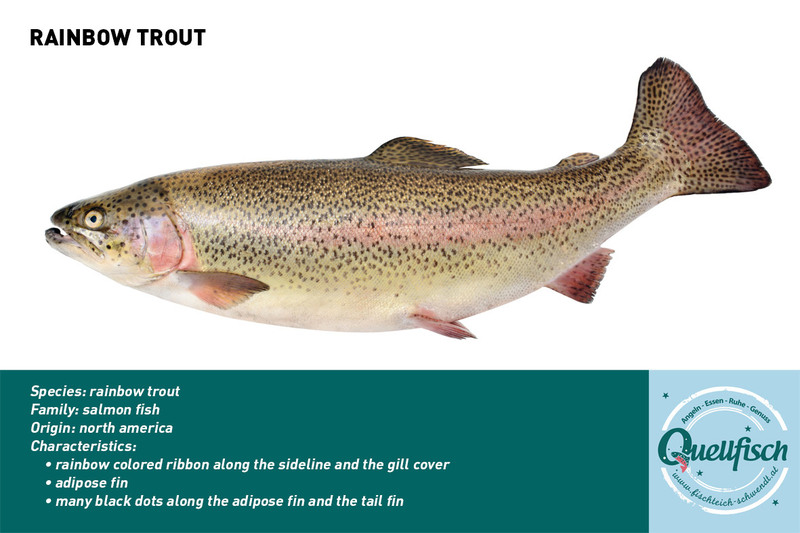 You can fish chars, rainbow-, salmon-, brook-, sea- and gold trout from 250 gr. to 1.500 gr and with luck also bigger.